I’ve started working with this newly started lit mag Terror House, with likely book releases of mine to come as well. Their aim is to publish edgy outsider writing, and they’ve embraced the material I’ve got to offer. Today I had a short story published there at https://terrorhousemag.com/alcohol-drought/, one I’m including here as well. A week ago I found myself banned from Facebook simply for having linked to anti-feminist web site Return of Kings – http://returnofkings.com/ This social media platform has turned into an instrument of censorship, where one isn’t permitted to express dissenting views without being banned. This isn’t the first time it happens to me, of course – I’ve been suspended 7-8 times before for simply having publicized the identities of convicted child molesters along with their personal information, something that angers Swedish authorities. What I don’t understand is why Facebook has to suspend me for this. The Internet is supposed to be a bastion of free expression, yet that’s not what it is today, unfortunately. Below is the message I was faced with on the 23rd this month, the day before Christmas eve – even though though I hadn’t added any provocative wording to the post, and even though the article did nothing more than to advocate traditional gender roles. I got 30 days without being able to even respond to private messages sent to me – an enormous nuisance. In general I’m happy to go on radio shows where rational and meaningful discussions take place – especially when the shows have got great hosts like Palmgren at Red Ice. So feel free to leave a message in my contact form if you want me on. I thought I’d philosophize a bit on the psychology behind this man committing this public massacre, comparing him to other shooters like for example Wayne Lo, and the narcissism exhibited by them. Companies that don’t have at least 40% percent women on the board of directors shall be liable to be dissolved by the state or forced to pay sizable fines, states Swedish justice minister Morgan Johansson (Social Democrat) to state radio Ekot. Today’s Sweden surely must be the craziest society that ever existed. I mean, can you really top that recipe for bankruptcy, getting all those incompetents board positions? Perhaps that could even top the damage done to the country through unrestrained third-world immigration. Sweden has truly gone off the rockers, that’s for sure. One wonders how long until the country is completely destroyed? 50 years? 10 years? 5? 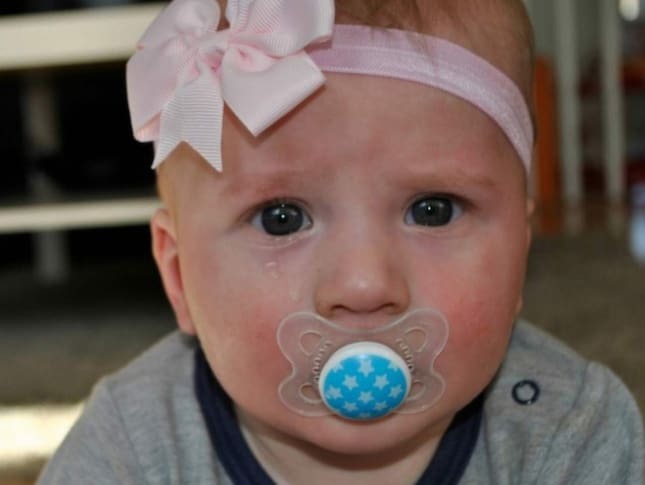 19-year-old single mother Matilda Sohl of Vårgårda, Sweden, doesn’t have any qualms about dressing up her male toddler in a pink outfit. In fact, she believes she’s fighting a just cause posting pictures of him on her blog, in spite of the boy obviously crying.